An ice-retardant system is a mechanical device or a series of mechanical devices designed to retard or prevent the formation of ice in or around lake front structures. These devices utilize as their mode of operation, one or more of the following mechanisms: pumped air, artificial water turbulence, the addition of heat to the water body, or other mechanism which impedes or prevents the formation of ice on the lake surface. Around Lake Hopatcong, these devices are commonly referred to as an “ice eater” which refers to a dock de-icer that uses an electric motor and prop to pull warmer water from the depth and direct it towards the surface. Actually, ice eater is a brand name for an ice eater product line produce by The Powerhouse in the United States. Ice eater is the term often used generically to refer to this type of de-icer as one refers to Kleenex to describe facial tissues or Xerox copy to describe a photocopy. Ice eaters and bubblers are two different types of systems, but ice eaters can open up much larger areas of water which creates public safety concerns and may cause dock damage. Bubblers use less energy and cost less to operate, but are more expensive initially to purchase and more work is involved to install and maintain. Most importantly, bubblers create only a small area of open water. 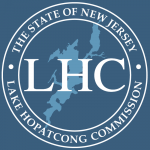 The Lake Hopatcong Commission is working with all four municipalities on the lake to promote the safe and effective use of ice retardant systems. 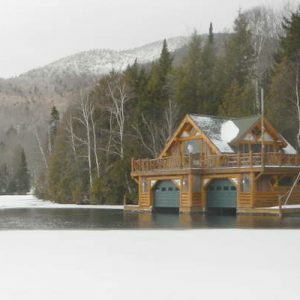 Promoting the proper use of these systems will help prevent winter accidents from occurring on the lake while still being able to protect docks and property from ice damage. To operate your ice retardant system properly so it does not cause a safety hazard for people and animals on the ice, connect it to a thermostat and timer, don’t operate it for more than fours hours a day, have it pointed upwards in vertical position and stop using it before the spring ice melt. Systems with a timer and thermostat to limit the hours of use daily will protect your property while saving money on the electrical costs. 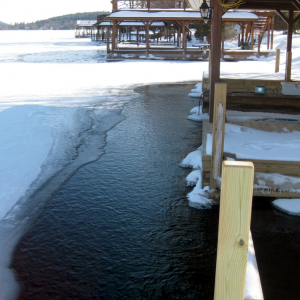 During freezing temperature, this will allow the lake to stay frozen in areas of the lake away from your property and will protect the public’s safety. the affected area of ice created by the ice-retardant system shall not extend more than 25 feet beyond the protected structure or more than 25 feet, measured along the shoreline, from the protected structure. no system shall be designed or operated in such a way as to prevent ingress or egress to any portion of the water body or to foreclose the formation of ice across a channel. the municipal construction official is responsible for enforcement of the ordinance. For complete details on the municipal ice retardant system ordinances, visit our resource page or visit your town codebook on your local municipality’s webpage. If an ice eater is creating an area of open water larger than 25′, if possible, make the property owner aware of the potential dangers this can cause. As these ordinances indicate, it can be reported to the construction official in Hopatcong, Jefferson, Roxbury or Mount Arlington.